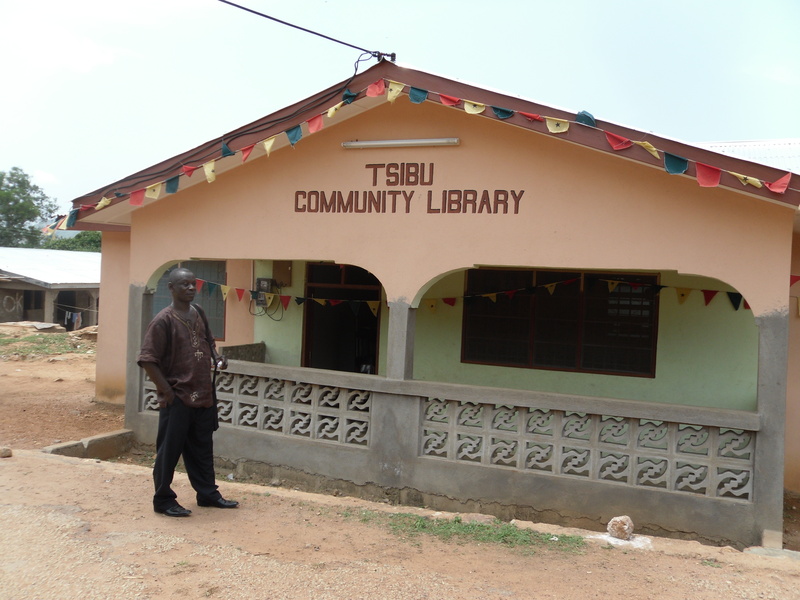 The library has been built from scratch on the initiative of a UK-based Ghanaian from the village of Tsibu-Awudome. It is a solid building with good security and is staffed on a regular basis. It serves the villages of Bethel, Daffor and Tsibu. It has a fair collection of books and newspapers, but is always grateful for more books suitable for both schoolchildren and adults. GSA has contributed to the purchase, in Ghana, of computers which are now installed. This entry was posted in Projects and tagged Tsibu Library by Ghana School Aid. Bookmark the permalink.